ANPR cameras cannot perceive of problems with paying for parking. They only facilitate the issue of parking tickets to those who make every effort to pay. The Bath Chronicle has contacted the RUH for comment. Any ANPR system that allows you to input a VRM that it has not detected is not fit for purpose and would never get type approval from government, so why do government let them get away with it? A DAD-of-two is being dragged to court after accidentally pressing zero rather than the letter O as he entered his registration number to park for FREE. James Lewis, 31, was shopping at Erith Riverside Shopping Centre car park, in South East London, when jobsworths grabbed the opportunity to slap him with a £60 fine. The outraged motorist, who was parked for less than an hour, has since refused to pay the parking charge - but now faces a day in court. He told The Sun Online: "I got a letter in the post about the fine, but I thought there must have just been a mistake. I lodged an appeal and sent off a picture of my ticket. "But because I typed zero rather than the letter O into the machine there, the parking firm came back and said it was my fault. "Since then I have been threatened with legal action and contacted around five times in the post. "The fine is probably ten times more now. "I was only parking for free for around an hour and then suddenly was being told to pay £60." The 31-year-old HGV driver was out Sunday shopping when he accidentally typed YB09VA0 instead of YB09VAO when entering his registration plate for free parking. James had no idea he had been slapped with a fine until a £60 charge landed on his doormat a few days later. 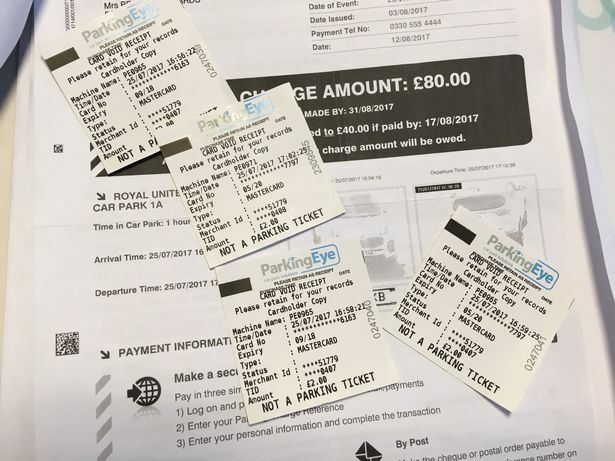 Smart Parking Limited, the firm which manages the car park, refused to back down over the error - and later upped the fine to £160. That's despite claiming to apply a "common sense approach" when it comes to reviewing appeals. Now defiant James has chosen to go to court instead of settling the debt. The dispute has been ongoing since May 21, 2017. Now James says he wants to prove a point to the "money-grabbing" company. He added: "I am ignoring it now because it is just not worth my time. "If it comes to it I will go to court. I won't just stand by while they whack me with a £60 fine because of something like this. "They need to have some common sense. "It's been very frustrating for me, and I can imagine distressing for anyone else forced to pay for one tiny mistake. "I am worried about the court action and the fine because I have a family to support, but let's see what the court has to say." If the ruling does not go in James' favour, the dad-of-two will likely to be forced to pay the fine - on top of hefty court costs. His fight comes after grandmother Sylvia Bradford was slapped with a £60 fine for legally leaving her car in the same free car park. The 70-year-old made the same error as James when she pressed the letter O rather than a zero on the machine with pale yellow letters on a silver background. But after lodging a complaint, Smart Parking Limited said that it is sticking by its decision to issue the fine. Sylvia plans to take her appeal to the ombudsman, meaning she will face paying out £100 if it is again refused. She said: “My husband blew his fuse. This really does take the biscuit. It seems ridiculous. It’s common sense." The Sun Online has attempted to contact Smart Parking Limited for comment. On its website, the firm says: "Smart Parking has gained a vast amount of experience over many years of handling parking related appeals. "It goes without saying that each appeal is individually assessed by a trained appeals assessor, who will review not only the site rules, but will apply a common sense approach. "If your appeal is refused, in order to avoid any further action you should pay the full PCN within 14 days." A spokesman from the British Parking Association, of which Smart Parking is a member, said: "We would strongly advice motorists to follow the independent appeals process rather than choosing to ignore parking fines. "There is no cost to go to Parking on Private Land Appeals (POPLA) to help with your case. "Taking it to court is much more likely to occur costs." I have no sympathy for the landlord, even a brief search online would have shown the scheme as unsuitable and as for getting into bed with the cowboys.... Numpty! This is an admission by NCP Ltd (members of the BPA Ltd) that there is an inherent problem built in to ANPR enforcement systems. Put simply, a camera cannot possibly calculate the time spent parked. A motorist who was insisted he was wrongly slapped with a £100 fine at a car park in Lincoln has claimed victory and got his ticket scrapped. 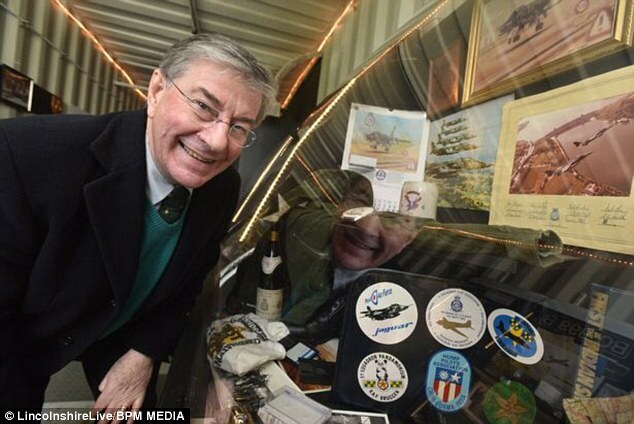 Ex-RAF man Terence O'Halloran paid £1 to park for an hour at St Rumbold's Street but was shocked to discover a penalty notice on his windscreen when he returned within the hour last month. He claims NCP calculated the length of stay from the moment heentered the car park to the time he exited, rather than the clock starting when he bought his ticket from the machine. Now financial journalist and analyst Terence has finally won his case and has had his ticket quashed. 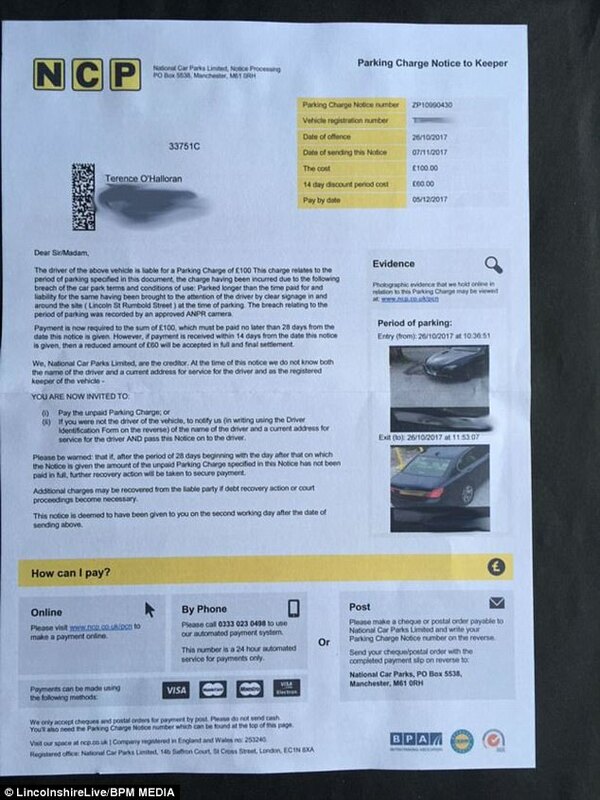 A letter addressed to Terence from NCP reads: 'Your appeal has been reviewed and has been considered in conjunction with the evidence gathered by our Automatic Number Plate Recognition cameras, which record your entry and exit times. 'Having considered the content of your letter we are prepared to cancel this notice. 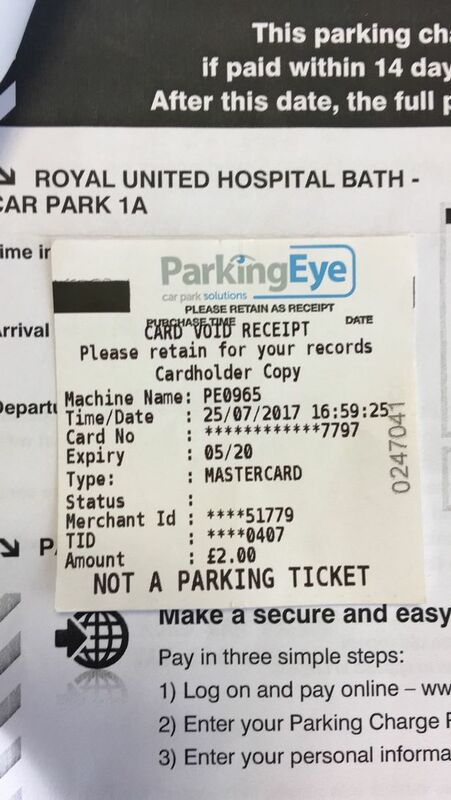 Mr O'Halloran, from Stainton by Langworth, previously told Lincolnshire Live: 'You expect to pay for the duration of your actual parking and in British Society you park up and pay at the machine and get your ticket. 'Your time starts when your ticket is issued. The NCP at St Rumbold's Street is busy so it can take 10 minutes to find a space. 'If you're parking for one hour apparently the time starts as your car enters the car park and concludes as your car exits the car park - that's given you something between 45 and 50 minutes' car parking. 'Apparently the time on your ticket means absolutely nothing to NCP. His car was clocked as he entered the car park at 10.36.51am on October 26 and when it left at 11.53.07 - a period of about 77 minutes. In a letter to Mr O'Halloran, NCP stated that there was a breach of the parking rules because the car was 'parked longer than the time paid for', as explained by 'clear signage'. Well haven't on for a while but if i am right. Then a Parking Charge Notice is issued to the driver of the vehicle. Not the owner. Then why does everybody kick a fuss up. just write to the company issuing the charge etc and ask them for a picture of the driver. If they cant produce it then they cant pursue you as you do not know who the driver is. Its different if it was a Penalty charge Notice. Boy have i dealt with a load of these. If you fail to identify the driver the Protection of Freedoms Act allows the issuer to pursue the Registered Keeper. 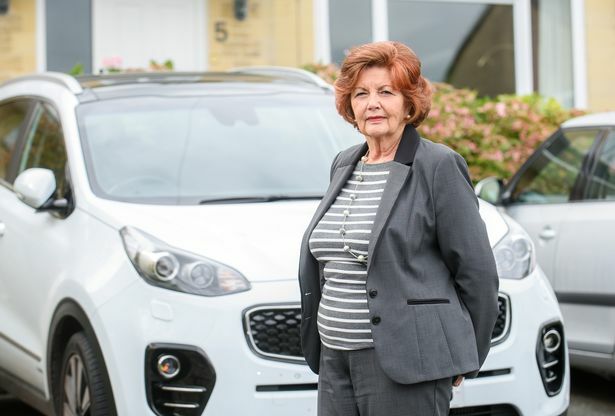 Smart Parking has refused to reveal whether it will review its policies after a woman in England won a David and Goliath battle with a private parking firm over a number plate error. Blessing Burgess paid for parking at a retail park in Stockport, Greater Manchester. However her husband Daniel had mistakenly entered the registration of their other car into the payment machine at the site. The firm offered to reduce the amount owed to £10 as a “goodwill gesture” but Ms Burgess accused them of profiteering, given that they had suffered no financial loss. 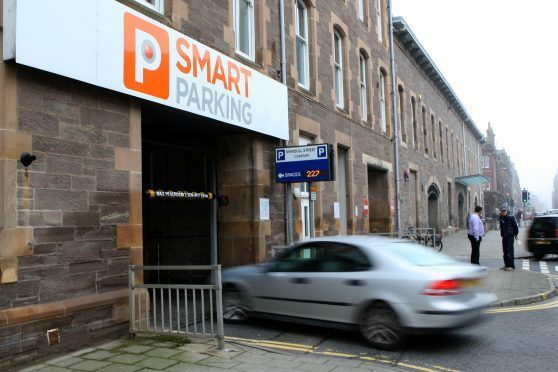 Payment machines requiring motorists to enter their vehicle registration numbers are used by Smart Parking in Perth, and dozens of drivers have been “fined” for errors including entering a zero on place of a letter O.
Perth and North Perthshire MP Pete Wishart, who has long campaigned against Smart Parking, said that private parking firms need to use common sense in cases of “simple human error”. He said: “My office has handed many of these cases to Smart Parking over the past two years, only to be told that the motorist is still at fault and that they have no intention of backing down. “Now that a fellow private parking firm have lost their battle in the English courts, it is time for Smart Parking to accept that sometimes people can make mistakes and start acting constructively with motorists and elected representatives. “Smart Parking are very fond of quoting the ‘Parking Eye v Beavis’ case in their hostile correspondence but I can’t imagine for a second they are going to start quoting this case where a judge found in favour of the motorist. “When people can clearly prove that they have paid for parking but have made a genuine mistake, parking firms must see sense and withdraw their threat of legal action. A spokesman for Smart Parking refused to be drawn on whether the company would review it’s policy. He said: “It is not for Smart Parking to comment on court cases where we are not involved or on the legal strategies employed. COMMENT: Both these car parks are "Pay and Display" but are policed by cameras and not human beings (I use the term loosely when it comes to the wea$els). A human being would have seen the displayed ticket was compliant and no PCN would have been stuck on the windscreen, and even if it had the driver would definitely have kept his ticket as proof. This is the very reason why councils are not allowed to use anpr cameras for enforcement purposes. Parking giant NCP has apologised to angry motorists - after sending out £60 parking fines by mistake. 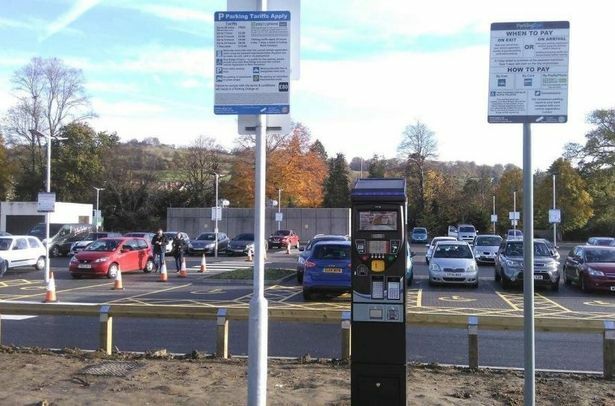 The company has blamed the problem on faulty payment machines at its two Stoke-on-Trent car parks over a three-day period. The problem affected the Glass Street and Meigh Street car parks, in Hanley, between February 7 and 10. 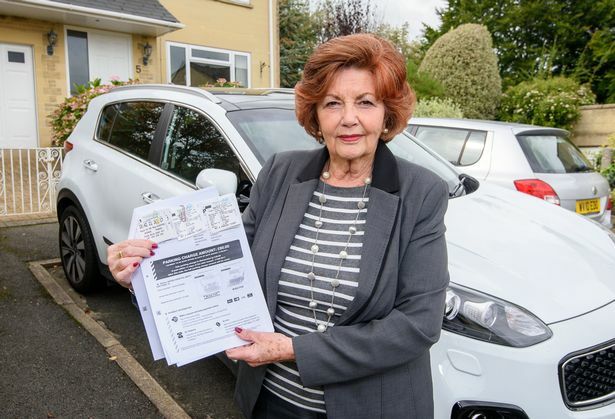 Nicola Amison was stunned to receive a fine after parking her car for just 13 minutes - and is warning drivers to always keep their pay-and-display tickets. The 33-year-old, of Bucknall, said: “I parked on February 7 for just 13 minutes and put £2 in the meter because it is £1.80-an-hour. But I was then fined and luckily I found my parking ticket. Nicola Amison was given a fine at the Meigh Street NCP car park after just 15 minutes. Nicola vented her frustration on social media and was contacted by other victims. 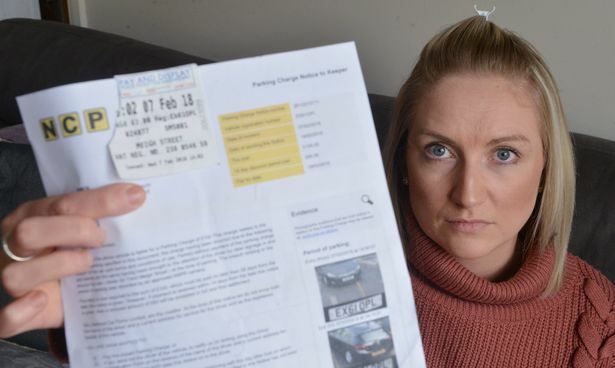 Rob Poole, aged 45, of Sneyd Green, was shopping with his partner, Victoria Birch, when they received a parking ticket despite parking for just 30 minutes and buying a one-hour ticket. The NCP car park in Meigh Street. NCP has blamed the incorrect fines on a 'technical issue' and says it will refund the motorists. 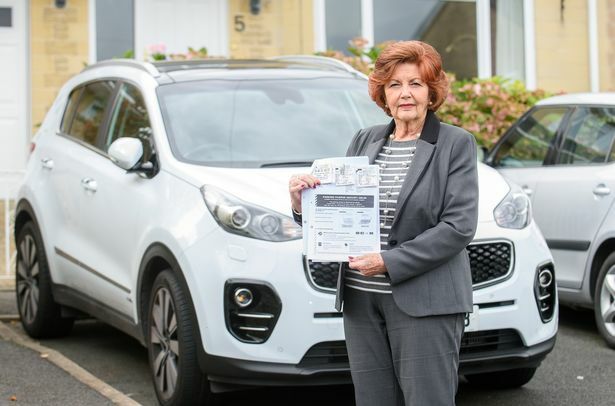 A spokesman said: "Due to a technical issue at our two car parks in Stoke-on-Trent, NCP incorrectly ticketed some of our customers who had paid for their parking. "After receiving a number of appeals we have investigated the situation and found that our payment machines experienced intermittent faults which meant some payments were not registered correctly, and therefore a parking charge notice may have been issued. We have now cancelled all notices which have been affected. "This is an extremely unfortunate and rare situation and we would like to offer our most sincere apologies to any of our customers who have been unfairly ticketed at Meigh Street and Glass Street and apologise that they have found themselves in the situation where they have had to take the time to appeal to us." I have just received a parking fine from an ANPR system they have at Sainsbury's in Kidderminster. The night in question I went to Brierley Hill Civic centre to see Knightmare Live. On my way there I popped into Sainsbury's for some sweets and drinks for the show. I then carried on driving to Brierley Hill to watch the show. 3 1/2 hours later I returned back via Kidderminster to Ludlow, stopping at Sainsbury's to do a bit of food shopping and get some petrol. I wanted to get some frozen food shopping and didn't want it to defrost whilst at the show. The parking restrictions were no return within 2 hours. Thankfully for me though I had Google maps turned on at the time and that has monitored my entire journey which proves I spent only 5 minutes each time in the car park and there was a clear 3 hours difference between the two journeys. Unfortunately I have no video evidence that the vehicle actually moved although Google does say I drove from Sainsbury's and I met my friend at Brierley Hill and so he knows I was there with my vehicle at the time Horizon are claiming I was parked on their land in Kidderminster. The only thing is I'm autistic and it's quite stressful that I don't know whether or not this firm will accept my appeal, and if they don't I'd have to then take it up with POPLA which taking it up with POPLA means the fine would then go up to £70. The firm has said it takes 35 days to process an appeal which is ridiculous to have to wait stressing for 35 days about whether or not I have to pay this firm £40 just for shopping twice in Sainsbury's in one day. The car park in Sainsbury's used to actually have a physical person going round checking the cars but now they've gone to this ANPR system. I have wondered though what actually happens if the ANPR camera does miss a car leaving as I know ANPR isn't fully foolproof and my vehicle has a well lit reg plate, printed to the official standard even with the official font and EU GB flag - well now I know. I have a feeling that what happened in my case is that in Sainsbury's there is two exits to the car park, one is an exit and entrance which you can quite clearly see the ANPR cameras on, but the other is an exit only and from what I can see doesn't have ANPR cameras on that exit. That night I chose the exit only exit as at present my car has a slight fault with power steering and that exit is more straighter than the main entrance and exit, but regardless I would presume that if your going to put ANPR cameras on a car park you'd put ANPR cameras on all exits. I went to Brierley Hill that night to see Knightmare Live, the show was great but the stress that this has caused thanks to Sainsbury's has spoilt all of that and I'm surprised that Lord Sainsbury who has a daughter with Aspergers can't see why such a situation of accusing someone in this way with Aspergers would stress them out. Contact Sainsburys mate and tell them that if they don't put it right you will be contacting your local press. And if Sainsburys say it's out of their hands and you need to go through the appeals process, contact the press and tell your story exactly how you said it on here. This is yet another case of being guilty until proven innocent, something that only happens in the parking industry. It's disgraceful that anyone is put through this process. Please do not hesitate to contact us if you think we can help. We have some experts on here who I'm sure would love to give Horizon and Sainsburys a very hard time if they insist on prolonging this process unnecessarily. Horizon dropped the case, but Darren (The KLF99) has a decent tip to counter the double dipping scam perpetrated on him and many others (via ParkingCowboys' website). Below is a link to the BBC Watchdog programme broadcast last Wednesday, 18th April 2018. Andrew Pester's (current BPA Ltd CEO) interview starts at about 8 minutes 40 seconds. When questioned about the double dip/ANPR victims who feature in the preceding report he states (at 10 mins 47 secs) "...with any technology it's not 100%"
At 10 mins 32 secs "...where technology is involved it is often not 100% foolproof"
At 10 mins 48 secs "...errors do happen and lessons have to be learned"
A motorist has been wrongly charged thousands of pounds in congestion charges — because Transport for London cameras keep mistaking a bus for his car. Leon Grant set up a direct debit with TfL via its auto pay system three years ago so that he would pay £10.50 every time he drove into central London during the week. He now rarely drives into the congestion charge zone but is still being charged up to £200 per month. It was only after reporting the wrong charges to TfL for more than two years that officials realised their cameras had been unable to distinguish between the numberplate on his Mercedes and one belonging to a TfL bus. Mr Grant’s personalised number plate is LJG6, which TfL says is a “very similar registration” to one on a bus, which includes the combination LJ66. He said: “I kept getting these bills every month for £100 or £200 and I thought, ‘This is bizarre, I haven’t been in the congestion zone this month’. Mr Grant, an accountant, set up the auto pay direct debit in 2015, when he would often drive into central London from his home in East Finchley. Auto pay, which is £10 a year to join, allows TfL to record the number of times that a vehicle travels into the congestion zone between 7am and 8pm on weekdays. It then sends the driver a monthly bill, which is paid as a direct debit. Almost immediately after signing up, Mr Grant noticed he was being charged for trips he had not taken. He complained and TfL sent him a refund, but the erroneous payments continued. At first, Mr Grant thought his vehicle had been cloned and contacted police. But, after two years of refunds, TfL realised the anomaly. Officials put him on a “watch list” in January, meaning that charges should be checked before being issued, but they kept on coming. A TfL spokesman said that of the 10,720,579 journeys recorded in the zone last year from vehicles on auto pay or fleet accounts, 145 charges were refunded due to a registration error.